When you experience difficulty either opening or closing your metal roll-up door, there is a good chance that your spring tension will need to be adjusted. Adjusting metal roll-up doors is a critical step in maintaining and prolonging the life of your metal door. The DBCI-exclusive tension set bracket is an innovative tool that accomplishes fast and safe adjustments. The tension set bracket found on the DBCI 650 and 690 Series is the first of its kind, making adjusting roll-up doors safer, easier and faster. It enables experienced maintenance personnel to self-adjust the door within minutes unlike the older roll-up doors that lack tension adjusters and require a door technician to make any changes. The 650 Series is designed without heavy, bulky elements that are generally seen in commercial roll-up doors, making the demand for maintenance less frequent. The oil-tempered, e-coated torsion springs that come standard with 650 Series doors are easily accessible for both maintenance and inspection. Everything from the effortless guide systems to the high-quality hardware makes these curtain roll-up doors easy to work with. Ideal for meeting load-requirements with reduced maintenance costs, the 690 Series is engineered to avoid buckling, bowing, and misalignment. With easy inspection access, you can ensure that the left spring hook is fully engaged with the tensioner tang for strong attachment. If your roll-up door is easy to close and difficult to open, your door may require an increase in spring tension. On the other side, if your door is difficult to close and easy to open, you need to decrease the tension. Although DBCI’s roll-up doors are designed for easy inspection and maintenance, it is recommended to have a trained professional take on the larger tasks of installing and repairing doors. The door must be fully open with the curtain wrapped on drums in order to safely adjust. With the door in the open position, simply insert a standard 5/16″ Allen wrench in the exposed drive and adjust clockwise to reduce tension and counter-clockwise to increase tension. If you want to use a drill attachment, be sure that it’s a variable speed drill set at a low speed. In addition to increasing tension when needed, adding a light coat of lithium-based grease to springs will help reduce friction and prevent rust for maximum efficiency. Applying and greaseless lubricant, like a silicone spray to guide strips will also help keep these free of dirt buildup for longer-lasting smooth operation of roll-up doors. Insulated Roll Up Door Options. Insulated Roll Up Doors are one of the most neglected add on’sKeeping your metal building’s interior climate controlled for comfort as well as for maximizing the life of your structure is essential. Careful consideration to your insulation needs should be taken prior to the erecting of your steel building as it is much more expensive and extremely difficult to retrofit a metal building with insulation after the fact. The cost of insulation represents a small percentage of the total cost of your entire project and should not be neglected! As a commercial roll-up door is opened – the curtain of the door is wound around a drum located directly above the door. 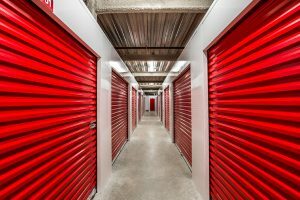 While this design maximizes the use of the interior steel building space by eliminating the sectional door tracks that would project into the space – it does present a challenge when it comes to insulation. A thick foam or fiberglass insulation would interfere or prevent the roll-up door curtain from wrapping around the drum when hoisted up. The practical alternative is the use of a polyethylene bubble film sandwiched between two protective sheets of strong metalized aluminum polyester film. Dr!pstop provided by Safeway Steel is all about Keeping your metal building’s interior climate controlled. This ensures comfort as well as maximizing the life of your building structure. Careful consideration of your building insulation needs should be taken prior to the construction of your steel building. It is much more expensive and difficult to retrofit a metal building with insulation once it has been built. The cost of insulation represents a small percentage of the total cost of your entire project and should not be neglected! DR!PSTOP is an innovative product that works by creating a medium for trapping moisture. Dr!pStop has specially designed pockets that are formed within the felt’s membrane. They help contain condensation and mositure build up. The Dr!pstop Insulation is applied to the back of the roof panel during the manufacturing process. This is one of the ways DRIP!STOP saves you money. This money-saving alternative can also save you up to 25% or more in labor costs. When compared to installing standard white vinyl backed steel building fiberglass insulation, the “Dr!pStop Insulation” Solution is held to the highest standard of durability and efficiency. It is not susceptible to ripping, tearing or deteriorating. Unlike standard insulation and vapor barriers. Additionally, Dr!pStop is UL 723-Approved for flame spread and smoke generation. It also comes with a 20-year adhesion warranty. 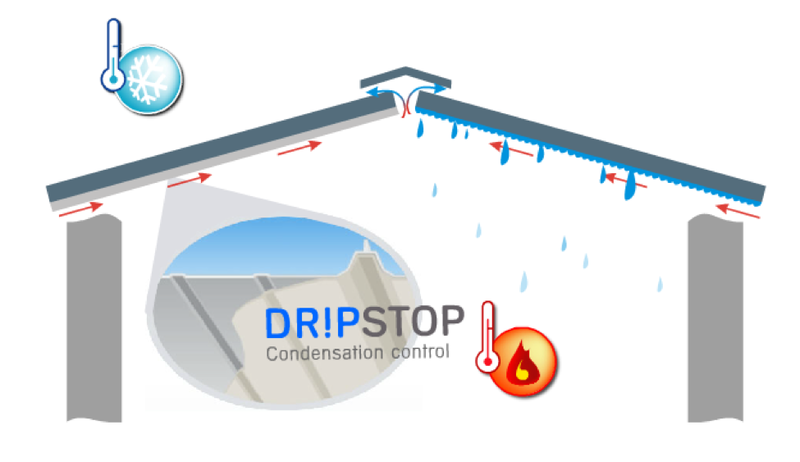 At Safeway Steel Buildings we recommend Dr!p Stop Condensation Control Systems for many of our clients steel building solutions, to ensure the steel of your building can resist rust in places where condensation can build up. If your next steel building will be in an environment where condensation or humidity is high. We recommend contacting Safeway Steel Buildings today to discuss how Dr!pStop Insulation can help keep your building a standard temperature and reduce maintenance on your building over the years from humidty. 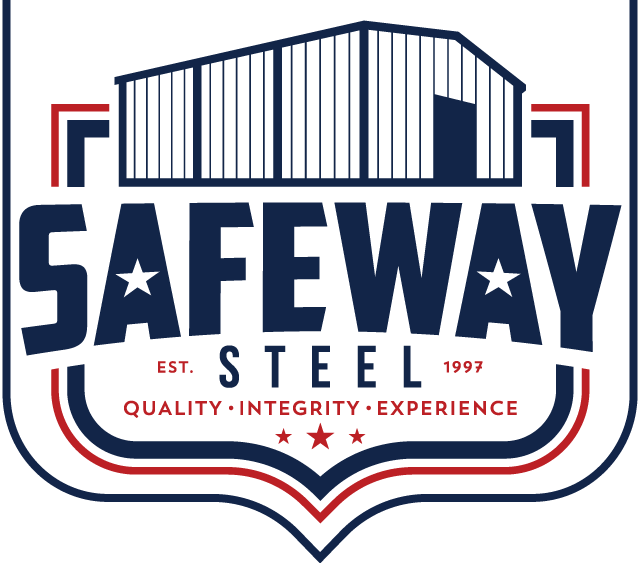 Contact Safeway Steel Buildings Today to discuss your Building Insulation Needs! 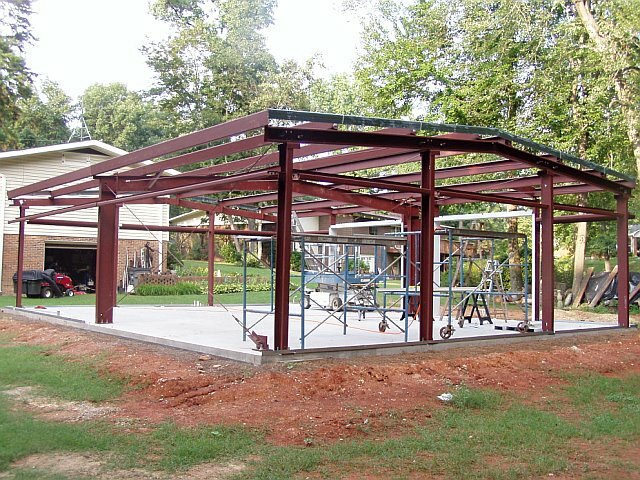 Safeway Steel Buildings offers Prefabricated Buildings Kits nationwide. Our prefabricated steel buildings kits are made out of 100% Red Iron Steel and have an easy patented bolt together design. From our state-of-the art manufacturing process to the building being delivered to your door. You can rest assured our Prefabricated Building Kits are of the highest quality. We Deliver The Building Anywhere in the World. Building Construction Available For Prefabricated Buildings. How Do I Buy Your Prefabricated Building Kits? You discuss your building with our PreFabricated Building Kit Specialists at 1-800-818-2245. Your building designer is your own personal contact, so use them as a resource as much as you can. Design Your Prefabricated Building Kit. A 3D model is provided for your to review. This 3D Building Model can be marked up and changed Unlimited Times; ensuring we have the exact building you are looking to build. We will constantly regenerate these models until we have your building kit just right. Once we have your design down you pay a small fee to put your building into production. Don’t worry this Deposit goes towards your final total so you are not losing any money. This is security deposit to ensure you real interest in getting started. This also safeguards your building budget so that you do not have to put up the whole amount upfront. Once the deposit is received your building is put into the manufacturing line. Based on the drawings received by your designer our State of The Art manufacturing process starts to build the components that will allow you to assemble your building quickly. There is no waste created which ensures when your building is delivered there is nothing else you need from us. This is an exciting day! Once the building is finished. Our factory will call you to schedule a delivery time. Once the delivery time is set, our team will deliver your building to your doorstep. Once you have paid your final total and review the building components (minus the initial deposit) our crew will unload the truck and you can begin building. If you have opted for our Turnkey Building Construction Service we will have already scheduled a date to been erection for you. In many cases our crew is there the same day your building is delivered to get started on your building right away! 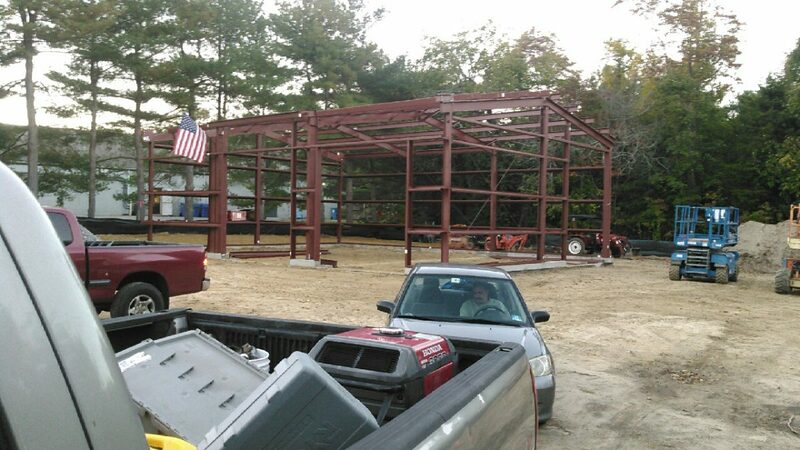 For more information about our Building Construction Services for Prefabricated Steel Buildings Kits at 1-800-818-2245. Do Steel Buildings Rust or are they Rust Resistant? Can Steel Buildings Be Used For Homes? Can A Steel Building Collapse Due To Fire? Steel Buildings in general have a high resistance to fire. This includes the overall structure itself, as well as the components that hold it together. That does not mean it is completely impervious to fire or building collapse. Depending on the melting point of the steel used and the types of components connecting the building together all play a role in the buildings integrity during a fire. As long as your building was designed using high quality fire resistant parts as Safeway Steel Buildings are, your building should be able to withstand a standard fire better then other materials but that is not a guarantee. Some fires burn hotter then others based and the fuel of the fire will determine the longevity of any building. No matter what material it is made out of. By Stephan M / First Time Builders, Metal Buildings, Steel Buildings / Comments Off on What Are Steel Buildings? Are Steel Buildings Cheaper Than Wood? By Stephan M / First Time Builders, Wood VS Steel / Comments Off on Are Steel Buildings Cheaper Than Wood? Are Steel Buildings Really Cheaper Than Wood?